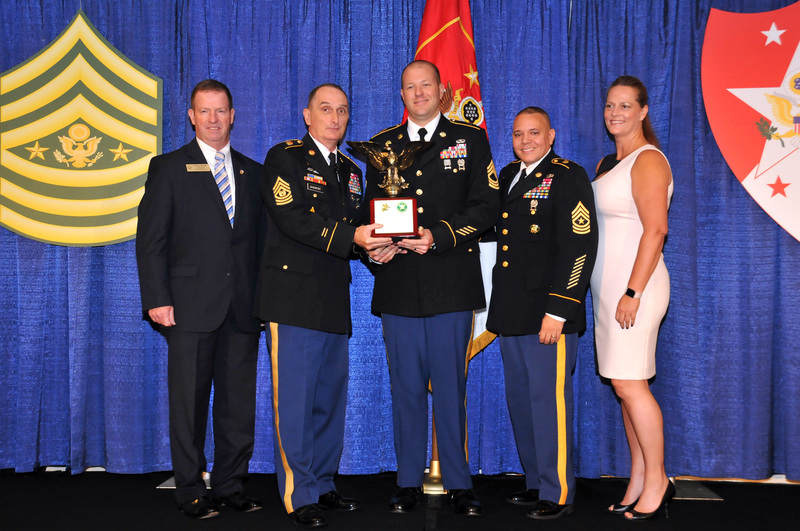 Three outstanding NCOs received awards this week during the Sergeant Major of the Army’s professional development forum at the Association of the U.S. Army Annual Meeting and Exposition. The 2017 Sergeant Major Larry L. Strickland Educational Leadership Award senior NCO recipient is 1st Sgt. Scott Tate with the 258th Military Police Company, Fort Polk, La. The midgrade NCO recipient is Sgt. First Class Theodore Kirchmeier with the U.S. Army Medical Department Activity, Fort Wainwright, Alaska. “The Sgt. 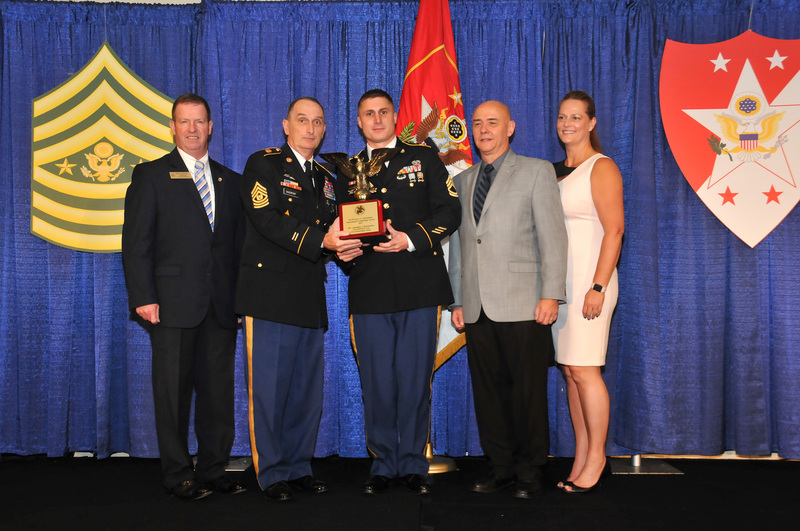 Maj. Larry L. Strickland Educational Leadership Award is awarded annually to a senior and midgrade noncommissioned officer who exemplify the Army’s vision of lifelong learning,” said retired Sgt. Maj. of the Army Ken Preston, AUSA vice president for NCO and Soldier Programs. The Strickland Award is given in honor of the memory of Sgt. Maj. Larry L. Strickland, the deputy chief of staff, G1 sergeant major who was killed in the 9/11 terrorist attack on the Pentagon. “Honoring Sgt. Maj. Strickland today gives us the opportunity to honor all those who have given their life in the service of our nation,” Preston said. The Sgt. Maj. Dawn Kilpatrick Memorial AUSA Scholarship Award, given in honor of the memory of Sgt. Maj. Dawn Kilpatrick, was presented to Master Sgt. Jeremy Bunkley of the 1st Armored Division Public Affairs. Kilpatrick had a long and distinguished career in Army public affairs, culminating in her assignment as personal public affairs officer for the secretary of the Army. She was the first NCO to serve in that role, Preston said. Following the awards presentation, Preston reminded the audience of AUSA’s new scholarship fund. 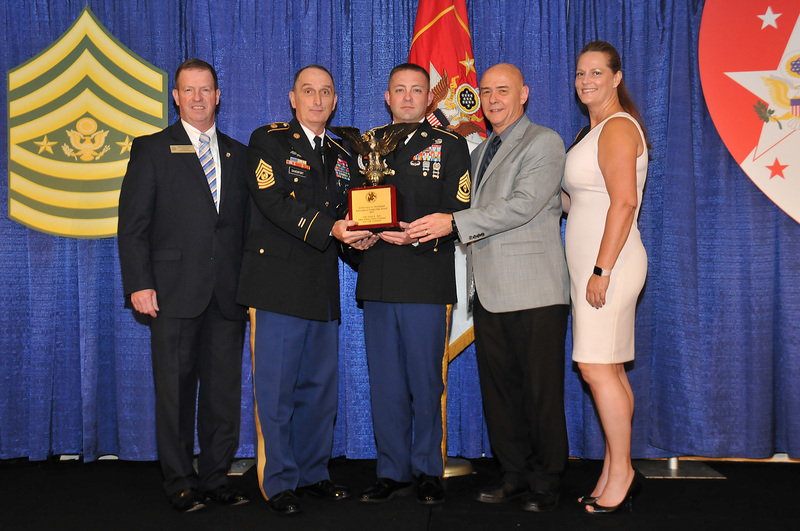 Named for the fourth sergeant major of the Army, the SMA Leon Van Autreve Scholarship Fund will award a scholarship for $25,000, one for $10,000, one for $5,000 and five for $2,000 to provide educational support to those who have dedicated themselves to serve the nation by pursuing self-improvement. Van Autreve, who died in 2002, served as Sergeant Major of the Army from July 1973 to June 1975 under two Army Chiefs of Staff, Gen. Creighton W. Abrams and Gen. Frederick C. Weyand. It is open to Regular Army, Army National Guard and Army Reserve enlisted personnel, officers in the rank of captain and below and those who are warrant officer or chief warrant officer 2. Those interested must act soon because Nov. 11 is the application deadline for 2018 awards.